Judith Kruger practices alchemic abstraction. Her studio is an eco-lab. 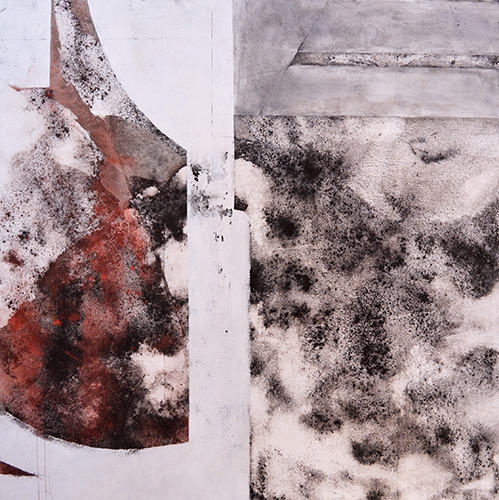 She connects with and responds deeply to the environment by digging, grinding, boiling, mixing, concocting, scraping, printing and layering. Judith manufactures her own pigment from globally sourced organic and inorganic, natural resources. A fertile language for abstract painting evolves from the juxtaposition and transformation of disparate, viscous matter. She believes that this is especially relevant today, during a time when our essence and ecology, as one, matter. Judith Kruger was born in Pittsburgh, Pa in 1955. She holds a BFA from Syracuse University and an MFA from Savannah College of Art and Design. 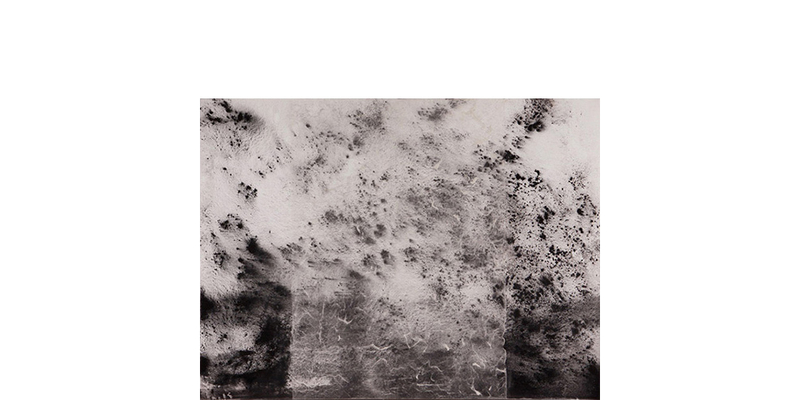 She left a successful 20+ year career in ceramics design for major, international retailers and manufacturers to focus on Nihonga, Japanese mineral pigment painting. Today, Judith is recognized internationally for her research and advocacy of this medium as both primary practice and catalyst for mixed media contemporary art. Her work is exhibited in galleries and museums in the USA, Europe and Japan. She currently lives and works in Litchfield, CT.